The Industrial sewing machines have been in active use for manufacturing not only apparel such as clothing and underwear but also bags, shoes, car seats and sofa, etc. As a consequence of pursuing the quality and performance, a single model has a single function in most of the models of industrial sewing machines. 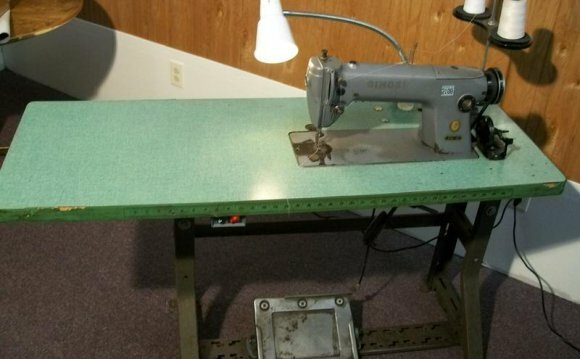 For example, there are a model specifically designed for sewing straight seams, a model for sewing zigzag stitches, and a model for sewing buttons on garments, etc. Since those models of industrial sewing machines are used as production facilities in the garment factories, they are required to achieve speed and durability. A certain model performs the sewing at the maximum speed of 8, 500 revolutions per minute, which is higher than an engine for sports cars. At present, many of the industrial sewing machines that are engaged in complicated actions are mostly computerized. The Industrial sewing machines equipped with those electronic devices are capable of automatically performing many different processes only by pressing a switch. Those machines, therefore, may be called sewing robots instead of sewing machines. In addition, consideration for environmental friendliness is another essential factor in the design and development of industrial sewing machines. From this point of view, sewing machines are designed to reduce noise, save energy and help prevent environmental pollution by oil.